The 2nd chapter of the Harry Potter prologue has finally hit the theaters. Oh, have we waited for it. The story about the boy who lived is forever in our hearts, and no matter where we are from, what our religion is or what we eat for breakfast – the amazing world that was so masterfully built by J.K. Rowling will stay and outlive all of us. When Fantastic Beasts was announced, millions of Harry Potter fans were extremely excited, and the first part delivered a new look on the series, a good one. The 2nd one… meh. However, The Crimes of Grindelwald is not awful. The movie is beautiful, it really is. Special effects are breath-taking. We saw a little bit of Jude Law as Albus Dumbledore and even more of Johnny Depp as Gellert Grindelwald. While the former wasn’t really a scene stealer, the latter clearly turned out to be one. Johnny Depp has not been amazing in the past years but here, he reminded us that he is still considered an amazing actor for a reason. Overall, everything that’s said above plus the fact that this movie has raised so many questions and failed to answer any (so we all go and pay to see the third movie), therefore felt like a prequel inside the prequel, left a bad taste in the mouth. 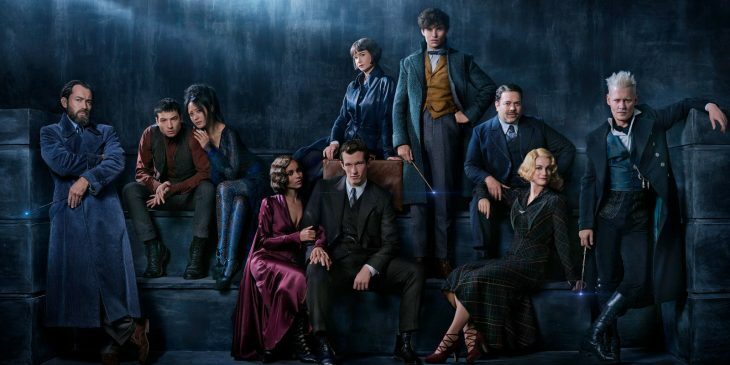 Rowling was heavily involved in the creation process and wrote the script, and knowing how proficient J.K. is in story-telling, one could expect more from The Crimes of Grindelwald. And yes, the movie title is heavily misleading!